Premium townhouses in a great location, designed for large families. 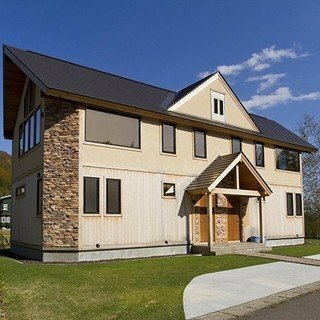 Yutaka Townhouses were built with large families in mind, offering a great location, modern furnishings, western appliances, and a beautiful, clean finish throughout. 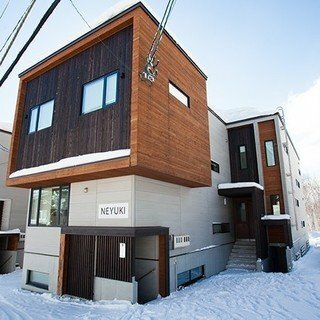 Start your day in Yutaka Townhouse with either a short 10 minute down to the Ace Family lift or an even shorter 2 minute walk to the free village shuttle that can take you to the higher Hirafu lifts. Whether you enjoy chasing the famous powder or racing down groomers, Niseko's vast terrain has something for everyone. Return to your cosy townhouse for some well deserved relaxation, get comfy on the sofa or relax in front of a movie in the media room. Being in such a central location means there are numerous dining options within a 5 minute walk of your front door. The night can carry on in one of Niseko's famous drinking holes or head home early for a good night's sleep ready for tomorrow's fresh lines. "We were a group of 10 staying at Yutaka Townhouse and thoroughly enjoyed our stay. The house itself is exactly as it appears in the photos, very comfortable, stylish and well equipped. It’s a little tight with four people staying in the downstairs room where the bunk beds are located, and should you take up an additional bed to fit 11 guests it would be getting very tight for space. Aside from that I have nothing critical to say about the property itself which is also in a very good location." "Just perfect for family, love it!!!" "Very nice townhouse with 3 floors. 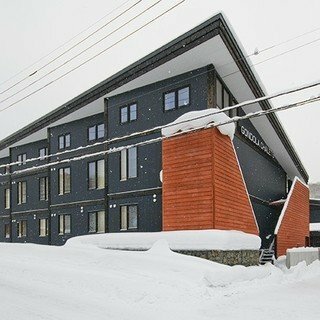 3 bedroom on the top and living room , Kitchen and dining table on the second floor (kids love to play with snow outdoor on the hill from the 2nd floor entrance) Big room for Ski and Snowboard equipments and laundry room."